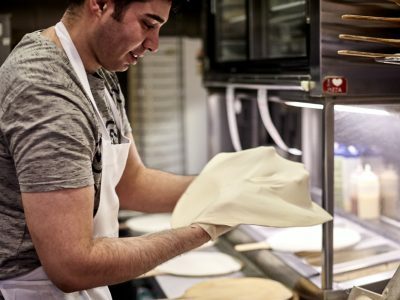 As a member of the 11 Inch team, you will get to work with some of Melbourne’s best foodies, while having the support of a tight knit team who thrive on creating and serving Melbourne’s best pizzas, salads, focaccias, coffee, and lots, lots more! We are always on the lookout for a new friendly face, so if you have drive, determination, a friendly smile. Really easy to pre-order online, food was ready when expected and tasted absolutely delicious. Lovely thin base and really flavoursome toppings. Highly recommend. Delicious pizza thank you for our dinner tonight! Ripper food. Quick service. Easy to book online. Great location. But also affordable. The best pizza I have had in years. Next time I'm in Melbourne I'm definitely going back. My family all loved their's too. Come in from 11am-10pm Weekdays or 5pm to 10pm Weekends. Equitable Place, 5B/353-359 Lt Collins St Melbourne 3000 Victoria.